One of the most straightforward methods to ensure the appearance of your vehicle is properly maintained is by washing it. Without mincing words, you might be making use of the wrong approach to wash your vehicle. However, several techniques can be applied to clean your vehicle in recent times, but there are various ways you are getting the idea of car washing wrong. You can take few crucial steps to significantly decrease the time and energy spent on the maintenance of your car’s facade. This article contains viable solutions and steps that can assist you to avoid scratches and swirls triggered by lack of proper washing. 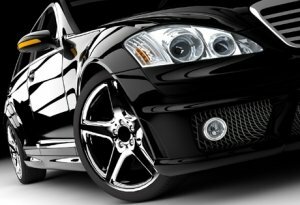 The painted surface of a car can stay for more than a year before a comprehensive polishing procedure can be applied to it provided it was treated correctly. Using two buckets is an important decision when you are washing your vehicle. For instance, I want to talk about your existing washing procedure; I have a feeling that you are using a single bucket by pouring soap and water in it. Afterwards, you grabbed your rag and sinking the cloth into the bucket used for washing. With this method, you are contaminating the clean wash water with grime and dirt removed from the surface of your vehicle. The dirt will be attached to your washing rag, and when you use the rag on the car, it will transfer the dirt to the surface of your car. This will mar, scrape and dull the painted surface of your vehicle. There is a useful method to resolve this problem as it is advisable to use two buckets for the washing of your vehicle. Use one bucket for the soapy wash water as the wash bucket while the other bucket should be used as the rinse bucket. If you desire to have a clean process, it is better to use five-gallon buckets as they can keep sufficient water that can be used to eliminate the dirt particles stuck in your wash mitt. Recently, washboards and grit guards are added to the car washing toolbox. A grit guard is an object that is usually positioned at the base of your wash and rinse buckets that help to remove the dirt particles from your wash mitt. A grit guard enables the dirt to drop to the base of the bucket and offer a fresh and scratch-free wash mitt each time you want to use water in the bucket for washing. A washboard, when combined with a grit guard, offers a vertical surface to rouse your wash mitt. Always remember that the grit guard is required for the washboard to perform its function efficiently. Another major determinant of the energy and time used in washing your car is the choice of soap. Avoid the use of dish soap for the washing of your vehicle. Dish soap comprises potent detergents that will remove the oil, grime, and dirt from the paint of your car as well as the wax protection you have used on the vehicle in the past. Make sure you select a PH-balanced and high-grade soap that is specially meant for the cleaning of painted surfaces. PH-neutral and is invented for maximum lubricity that helps thwart marring or scratching. It is an excellent idea to buy a quality wash mitt. There are several wash mitts on the market, but the microfiber chenille mitts are the latest improvements you can find here. These mitts are renowned for their extra softness as they comprise absorbent strands that raise the dirt from the sensitive part of the paint. These wash mitts are our first choice in the garage. It is important not to ignore this guideline as most individuals have this habit of using a worn-out, cotton bathroom towel to clean the vehicle. Kindly note that cotton is a sturdy fabric for this purpose as it can have a negative impact on the vehicle’s paint. Usage of the old towel can create swirls and scratches on the car. Make use of a microfiber drying towel instead of cotton. It is advisable to use the microfiber drying towel as it offers a superabsorbent solution that helps your vehicle dry within a short time. One of the advantages of using it that it ensures the safety of the painted surfaces of your car. Rinse the vehicle thoroughly with the hose by utilizing a forceful blast of water. Saturate the wash mitt in your wash bucket and start the washing process from the top and move downwards by touching parts such as the windows, hood, trunk, roof, front and rear, sides, tires, and the wheel wells in the end. Make use of a devoted brush for the cleaning of the wheels, wheel wells, and the tires.